Friday 16th November: The Taylor Technology Systems team was delighted to be invited to the Bexley Civic Offices in Bexleyheath to meet with Councillor Brian Bishop, Mayor of Bexley, and Mayoress Councillor Christine Bishop, on Friday 16th November 2018. Following Taylors’ success at the recent Bexley Business Excellence Awards, where they won the award for ‘Best Employer of the Year’ and came runner up in the ‘Technical Innovation of the Year’ category, the Mayor wanted to get to know the successful businesses that had competed a little better. “It is great to have so many exceptional businesses in our borough. 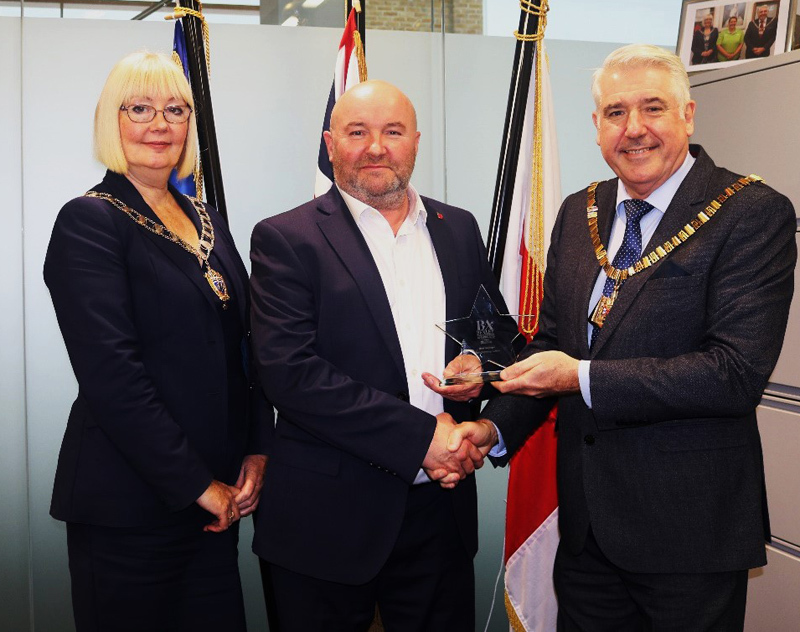 The Bexley Business Awards offered tough competition and Taylor Technology Systems did fantastically well to be judged so highly in both the categories they entered. “I was particularly impressed with how Taylors manage their workforce, with bi-annual ‘stand down’ training days and regular opportunities for employees to interact with the company and their management team. It is clear Taylors have real dedication to getting to know their employees as people, not just numbers, and are devoted to ensuring the health and safety of their staff, both in body and mind. It is clear to me that Taylors are highly professional, with a strong ethos of going the extra mile, both with customers and their workforce; being an employee for Taylors is more than just working 9 to 5.